FoxTab - Switch between Firefox tabs with style ~ Android Forever! FoxTab provides a new fascinating and elegant method for finding and selecting a tab in the browser. 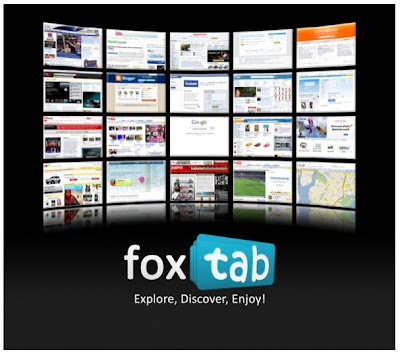 FoxTab is designed to be suitable for many types of users, those with only few tabs opened and those out there (like me) who usually have tons of opened tabs to select from. 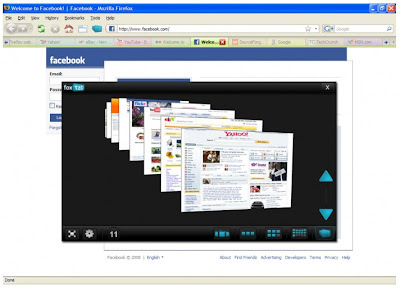 The idea behind FoxTab is to provide new visual methods for quick tab switching. Stack - Tabs are 3D-stacked one behind the other. Wall - Tabs are displayed on a wall (similar to a TV store). Grid - Tabs are aligned on a grid. Row - Tabs are arranged horizontally. Circle - Tabs are placed around a 3D circle..